Act Now. Invest in the future of youth. If we want to help inner city youth stay in school, and move toward jobs and careers, we need to provide role models, life experiences, tutoring and mentoring in the non-school hours, not just invest in teachers, principles and charter schools. 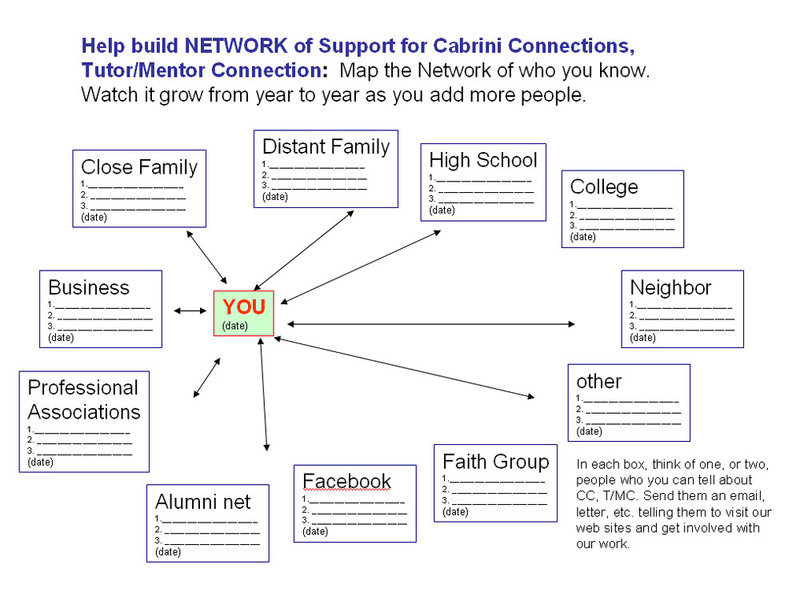 This graphic shows all of the work that we do at Cabrini Connections each week, just to keep kids and volunteers connected, and to find the resources to pay the operating expenses. 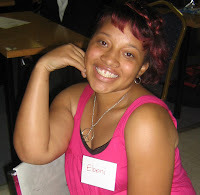 Visit this blog and read about one of our June 2009 graduates, who visited the program while on spring break from her first year in college. Read this article, and see how teens from Cabrini Connections are visiting the workplace of volunteers during Chicago Public Schools spring vacation. If Cabrini Connections can't pay the bills, we can't provide the support that helps kids who start with us in 7th grade, be finishing high school six year later, and even stay connected to us many years after that. At http://www.giveforward.org/cabrinitmc you can see how friends, volunteers and students have contributed more than $24,000 since last September, through many small donations. One grant from a Chicago corporation of foundation could be that much. One gift from a benefactor could be 10 times that. If you're reading this, and you know people like this, and you want to do something about ending poverty, then help us find these benefactors. However, that's not the only reason to send a donation, or help find a benefactor. Cabrini Connections created the Tutor/Mentor Connection in 1993, to help every poverty neighborhood in Chicago have programs like Cabrini Connections. This map is just one of many resources we host on the T/MC web site. One of those is a Chicago Tutor/Mentor Program locator that you can use to search in different neighborhoods to find tutor/mentor programs, if any are there. An anonymous donor gave $50,000 in 2007 for us to build this mapping capacity. The money ran out in early 2009, but we've scrounged to keep it available to people in the Chicago region. If your company wants recognition for doing good, why not be the sponsor who helps T/MC keep this service available, or helps expand it to other cities? Every non-school organization that is working to help kids avoid gangs, and drugs, and make healthy choices about school and careers, has the same infrastructure needs as we have at Cabrini Connections. They all need benefactors who provide flexible, on-going operating dollars. Don't wait for someone else to take the lead. If you value what programs like Cabrini Connections are doing .... then reach out to the people you know and invite them to become volunteers, donors, leaders to help build the infrastructure that makes these programs possible. The problem will still be here tomorrow and next year. However, some of these programs may not be here if we cannot influence the flow of operating dollars now and over the next few months. Is this idea important to you? Come to the Tutor/Mentor Leadership and Networking Conference on May 27 and 28. It will be at Loyola University Chicago. Learn more. Get personally involved. Take a look at these sites: They show how art, and a passion for a cause, can be turned into something even greater. We've been building a map gallery, and we're looking for ways to give this more visibility, and find some sponsors, and raise money to fund all tutor/mentor programs, not just our own. These web sites were sent to be by Jeff Curto, a fraternity brother of mine from Illinois Wesleyan, who is also a great photographer. I'd like to recruit a partner who would create photo stories that show what happens in a volunteer-based tutor/mentor program like Cabrini Connections. I'd like to recruit another partner who duplicates these concepts, using maps and visualizations, instead of photographs, to draw attention to strategies that make more and better tutor/mentor programs available in all of the places where the maps show they are needed. If you can sponsor or help develop this idea, call 312-492-9614. My book keeper was here this morning and I'm not sure where I'll get the money to meet this week's payroll. One payment we expected last week was delayed. The money from the Cabrini Madness won't come till next week. Thus, we have a problem. We'll get over it. We have had this problem over, and over, for the past 16 years because as a non-profit, we've never been able to build funding partners who share the same long-term commitment to tutor/mentor programs that we have, and who will demonstrate that with their funding. Some of those who did have that commitment have been lost due to economic downturns, company failures, and changes in leadership. I encourage you to visit the Cabrini Blog and read stories of how our volunteers and kids are working together in arts, technology, writing and video clubs. Read about Cabrini Madness where more than 100 of our students, volunteers and friends have raised over $16,000 in the past two months. Then read Bradley Troast's article about the way interns are helping us. I posted four comments on the Tutor/Mentor Connection OHATS today, showing work that three additional groups of interns/volunteers are doing to help us. One group of Net Impact Service Corps Volunteers is doing a review of T/MC and other mentoring partnerships and citywide program locators to show strengths and compare funding. A group of students in a technology class at Loyola is rebuilding the database on the Tutor/Mentor Conference web site. A third group is developing expertise in Social Network Analysis, showing how the Tutor/Mentor Connection is connecting people and organizations who would not know each other otherwise. 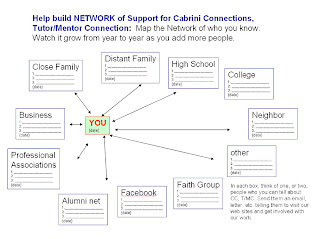 Use this form to create a list of people who might support Cabrini Connections, Tutor/Mentor Connection, or other tutor/mentor programs in Chicago, just because you are involved, or you encouraged them to take a look at our web sites. Visit this list every couple of months and you'll find it is easy to add new names. Set a goal of adding five names a month. Send them email notices, Facebook or Linked in messages, or invite them to visit a tutor/mentor program with you. Building this network of support is essential to the survival, and growth, of non-school tutor/mentor programs like Cabrini Connections. I encourage you to read Mike Trakan's recent blog post, which shows location where a 7-year old Chicago girl was shot and critically wounded. Mikes stories show how individuals can follow media stories with map-stories that show where and why the bad news happened, and ways individuals, faith groups, businesses and others can help create solutions. You can make these maps yourself, using the Interactive map feature of the Tutor/Mentor Program Locator. We'll do a workshop at the May 27 and 28 conference to show you how to do this. Or, if you'd like, we can do a private tutorial for you and your group. If enough people are making "rest of the story" maps and writing about them, we can increase the number of people who are providing time, talent and dollars to change what happens so these stories don't need to happen so often in the future. If you know of donors, or sponsors, who would help the Tutor/Mentor Connection keep this map service available, please introduce them to us. 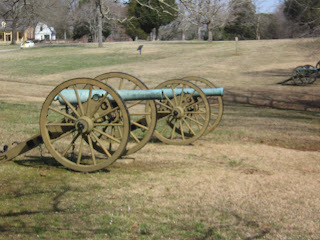 I've been visiting Civil War battlefields this week with my 12-year old son. I was in the army myself for three years, and the term "Hurry Up and Wait!" was a common one. That means that the officers would rush you to get some place, then you'd wait for hours, or days, before anything happened. I'm sure this was true during the Civil War 150 years ago too. This comes to my mind because it took me two days to get to Vicksburg from Chicago, which left me lots of time to think and reflect on the work we do at Cabrini Connections, Tutor/Mentor Connection. Then we spent about 3 hours on the battlefield. That was it. From there we drove another six hours to get to Shiloh, Tenn. where there was another great battle. We spent about 3 hours touring the Military Park at Shiloh, and visiting another really good museum in Corinth, MS, then drove on to Franklin, Tn. We toured sites there today. The battlefield sites at Vicksburg and Shiloh are beautiful. I visited Gettysburg and Antietam, and I feel that both of these sites are as good, or better, if you're a history buff. Touring these sites, it's hard to imagine the carnage, and courage. On one attack at Vicksburg, 150 "volunteers" had to try to fill a trench with rubbish, and their own bodies, so others could follow them in the attack. Thousands died. Many more were wounded. The number of killed and wounded at Shiloh was more than the total casualties of The American Revolution, War of 1812 and Mexican War combined. My driving time gave me the opportunity to reflect on the courage these men had to have to go forward into the fire of enemy rifles and cannon. I go through a progression of thinking every few weeks, when doubt creeps in about what I do for a living. Over 35 years I've seen the bonds that form between many youth and volunteers in the tutor/mentor programs I've led. I've heard countless volunteers say "I got more from this than the kids do." Over 35 years of leading a program, I've also learned that without the work I and other leaders do to make a place available where kids/volunteers can meet, it's not likely that most of those who I've known over the years would ever have connected with each other. The program itself, is essential to making large numbers of mentoring connections possible for kids living in high poverty, big city neighborhoods. If this is accepted as fact, then when we look at a map of Chicago and see huge swaths of poverty, we must ask the question: "What will it take to make programs like Cabrini Connections available in more of these neighborhoods?" 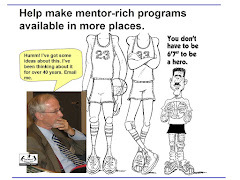 I think it will require the commitment of thousands of people, who serve as leaders and organizers at individual programs, and who provide the dollars and other resources needed for each program to optimize the mentor/mentee relationships. What I'm not certain about is where we will find the large numbers of people who will make the huge sacrifices that would make this happen. I hope others are asking that same question. Read the latest version of the Tutor/Mentor Connection eNews. See new maps showing 2009 under-performing Chicago high schools on Mike Trakan's mapping blog. I'm taking my son on a tour of Civil War battlefields at Vicksburg, Shiloh and Franklin, Tn in the coming week, so I hope the newsletter provides plenty of reading for you until I return. Generals were using maps 150 years ago the same way the T/MC is trying to use them today. I hope you'll browse the maps and join with the Tutor/Mentor Connection in the coming weeks and months. Forbes Blog - about Religion? No. Business. I encourage you to read this blog titled "Getting Religion about Science". it shows how leaders of the Aerospace Industries Association, the U.S. Chamber of Commerce, the American Chemistry Council and the National Cable and Telecommunications Association are concerned about the future supply of workers for US science, math, engineering and technology careers - STEM careers. If you read some of my blog articles about Public Health, you'll see that workforce concerns are broader than STEM careers. According to Brian Wingfield, who wrote the Forbes blog, "The coalition is still in its early stages--it doesn’t even have a Web site yet, it has no immediate plans to lobby Congress directly, and it doesn’t have a common budget." That means if we can get the attention of these leaders, they might use the T/MC web sites as a resource for building and sustaining their strategies. I have been trying to connect with business leaders like these for many years, but I've not found the right "elevator speech" to get them to spend time in my web site, or to delegate surrogates to spend time, so they'd see what we're offering and begin to integrate us into their strategic planning. Thus, if you're reading this, I hope you'll pass it on to leaders who are thinking "out of the box" on ways to connect with kids and influence their choices of careers. While it's alarming that many inner city kids don't finish high school, it's equally disturbing that a large percent that enter college don't graduate. This web site provides state by state data, and many more resources on the college graduation challenge. 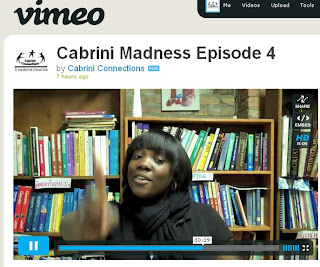 In this Cabrini Madness video, Tim Doyle, a former Northwestern Basketball star, and sports analyst for the Big Ten Network, reports on the teams competing in the Cabrini Madness fund raising tournament. Thanks Tim! In addition, Felicia Dechter, a writer for SKYLINE, and long time supporter of Cabrini Connections, Tutor/Mentor Connection, wrote this article. 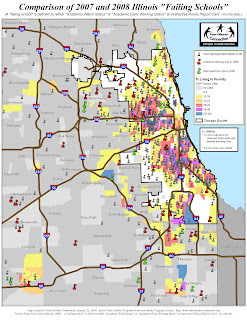 This article on the Stanford Social Innovation Review illustrates a challenge we face of connecting the different stakeholders in the Chicago region with the information we host on the T/MC and Cabrini Connections web site. 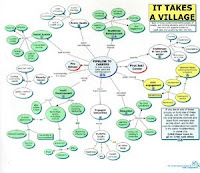 Visit the VILLAGE map to see what we mean when we talk about getting people connected. 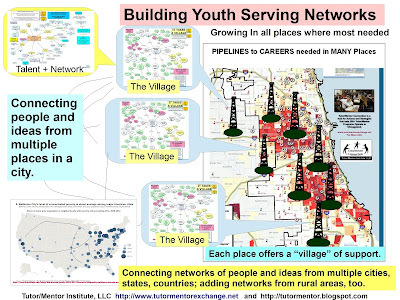 The May 27 and 28 Tutor/Mentor Leadership and Networking Conference which will be held at Loyola University in Chicago is one opportunity for the members of this village to connect. Chicago teens show how they are helping make a difference for the future of tutoring/mentoring at Cabrini Connections and through the Tutor/Mentor Connection. This article on Boxes and Arrows web site has some great tips for anyone seeking to build a community on the Internet. Mike Trakan has published his first 2010 map showing under-performing Chicago Public Schools, poverty, and availability of non-school tutor/mentor programs. Read his article and think of ways you and your company can think "out of the box" in where, and how, you connect with kids. If you like these maps, support the Tutor/Mentor Connection by voting in the Pepsi Refresh Challenge. You can help us get a whole year of funding! Below is a screenshot taken from a new flash animation launched today. It was created in one week, by a graduate student from the University of Michigan's Alternative Spring Break Program. Click this link to view the presentation. 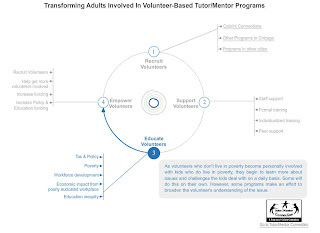 As you click each circle, you will go around the cycle four times, showing how a volunteer who joins a tutor/mentor program today, might be a leader mobilizing others, in a few years. We apply this thinking at Cabrini Connections. Imagine if there were fifty or more programs in Chicago, Houston, LA, NYC and other big cities, each building volunteer involvement this way. What's special, is that this project was created by Li Li, a graduate student from the University of Michigan. She was part of a one-week Alternative Spring Break Program. She read this blog article, then interpreted it in here presentation. Furthermore, this is not just some classroom exercise. Li Li's presentation is now in the list of articles that we share in the Tutor/Mentor Institute. Anyone in the world can now look at this and apply these ideas to their own work. Li Li is one of a growing number of interns who are coming to the Tutor/Mentor Connection to create new interpretations of ideas we've posted on the web site for many years. 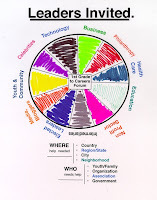 If you and your college, or high school, would like to become part of this process, just introduce yourself here, or on our Tutor/Mentor Connection site. 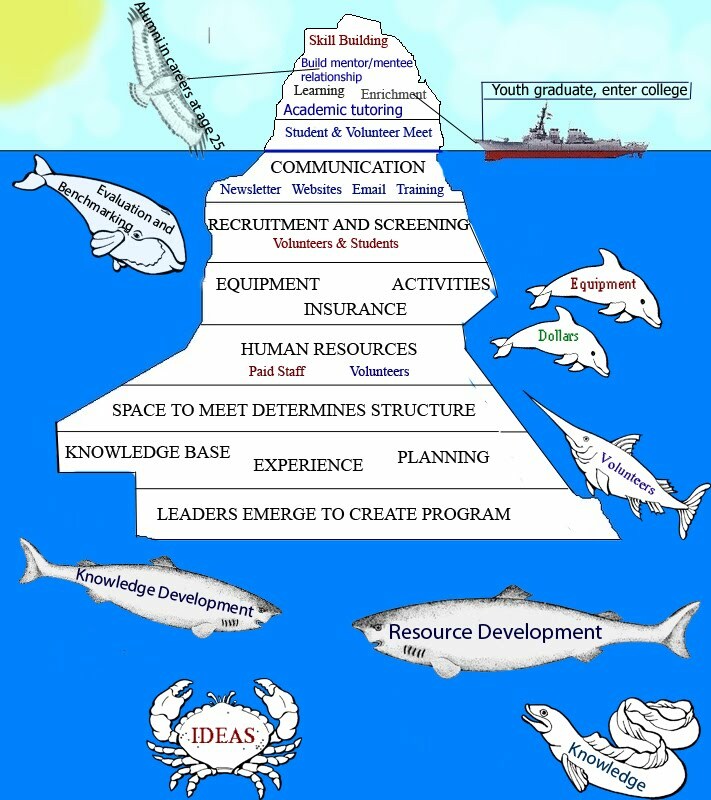 This graphic is part of a flash animation created to illustrate the year-round event cycle, and strategy of the Tutor/Mentor Connection. It was created by two interns from Korea who were with Cabrini Connections, Tutor/Mentor Connection for six weeks in Jan/Feb. 2010. You can read more about this in this blog article. These interns and other volunteers are connected to each other in the Tutor/Mentor Connection Ning group. This is more than Facebook. It's a planning and collaboration space. If you browse the groups you can see how I'm able to coach the work each volunteer is doing, and how they are beginning to network and share ideas with each other. You can review work done over the past few years, and you can follow work being done right now. You can add your own ideas, or you can borrow these ideas to help you in your own program, or your own community or country. 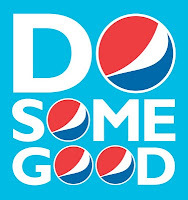 If you appreciate what the Tutor/Mentor Connection is offering, I hope you'll take a moment to vote for us in the Pepsi Refresh Project. You can help us get funding for an entire year! This means we'll be able to do more of this type of work and bring more attention and support to tutor/mentor programs in many places. Yesterday I wrote about President Obama asking for $900 million to reduce the high school drop out rate. I don't have much influence with my single vote on how the Federal government uses my tax dollars, but I can influence the futures of inner city kids by what I do as leader of Cabrini Connections, Tutor/Mentor Connection. 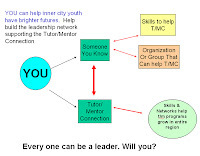 Now you can have an influence on what the Tutor/Mentor Connection does to help volunteer-based tutor/mentor programs grow, and thrive, in all parts of the Chicago region. Here's some articles showing the Network of Purpose. View the Program Locator and see how it helps you find where tutor/mentor programs in Chicago are located. Vote for us in the Pepsi Refresh Project. With your help we can win a grant of $250,000, which is a full year of funding for the Tutor/Mentor Connection. With this we upgrade the maps, the web library, the outreach and we help every tutor/mentor program in the city get the ideas, the volunteers and the dollars they also need. If you help the Tutor/Mentor Connection grow in Chicago you also help similar strategies grow in your own city because your leaders can borrow ideas from the T/MC and the resources we share in our library and through the May and November Conferences, as well as on-line forums. This contest runs through March 2010. Right now we're in 284th place. We need to be in the top two to win the grant. Can you help? The Chicago SunTimes has a story today, showing how President Barack Obama seeks to "fight the nation's school dropout epidemic by providing $900 million to states and education districts that agree to drastically change or even shutter their worst performing schools." Closing poorly performing schools is a popular solution, but it does not change the poverty that causes youth to come to school poorly prepared to learn. This map shows poorly performing school in Chicago. 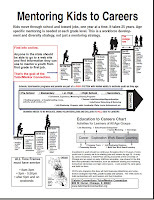 It's one of many maps you can find on the T/MC Map Gallery that show the impact of poverty on how inner city kids learn. On the Interactive Program Locator you can build your own map, showing where poorly performing schools are located, along with concentrations of poverty. Our maps are intended to draw more people from beyond poverty to the various volunteer-based tutoring and/or mentoring programs operating in the non-school hours. Such programs can expand the network of adults surrounding kids, and broaden student learning aspirations ....IF, those programs have the type of leadership and funding needed to connect youth and volunteers and keep them connected for multiple years. I don't see this concept in the education reform ideas coming from Washington, or locally. Yet, unless we expand the network of people working to help poor kids to careers, I'm not sure that $900 million more invested in schools will have the impact everyone wants. In January2010 the Lawyers Lend a Hand to Youth Program sent out contributions to 33 different tutoring and/or mentoring organizations serving youth in the Chicago region. You can see the list, with links to each organization, at this article. Cabrini Connections received one of these grants, and we are thankful. However, no foundation funds all of a non profit's total annual budget, or even more than a small percent. Thus, as we applaud the leadership of members of the legal community who are helping raise these funds, we encourage leaders in every other industry to form similar programs, using the Tutor/Mentor Connection maps, and library of programs, to choose where you distributed operating dollars, and encourage employee volunteer involvement. 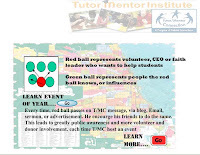 We also encourage non profits who operate tutor/mentor programs to network with T/MC in conferences and on-line forums, so we can work together to help expand the revenue available to operate, and share ideas that help us use these dollars to build constantly improving programs in all parts of the Chicago region.